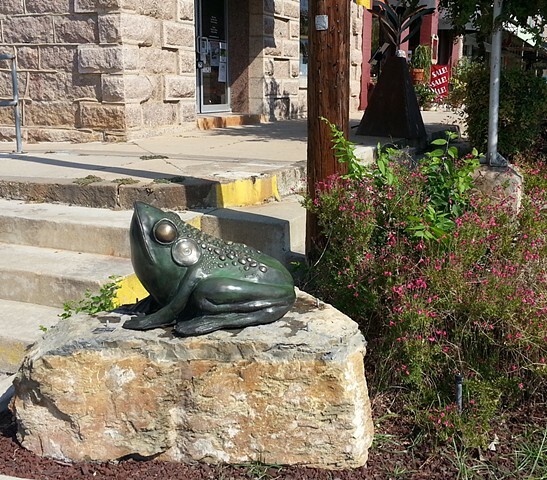 TOADFROG: cast silicon bronze sculpture with four heavy duty anchors. Price will vary with fountain option and for shipping/installation options. This casting is # 7 in an edition of twelve.There are six available. It is a 100 year low maintenance, weather and water tolerant-without corrosion in most water conditions silicon bronze. Your choicce of hot patina color may vary and will change over time The finish is hand waxed with (8 month) sealer.